Due to some medical issues, Steve has taken the temporary title of “Assistant Chief Financial Officer”. While Steve goes through treatments, Shea Brock will be acting as the Interim CFO. This is the financial update report from the Board Meeting held March 27th, 2019. 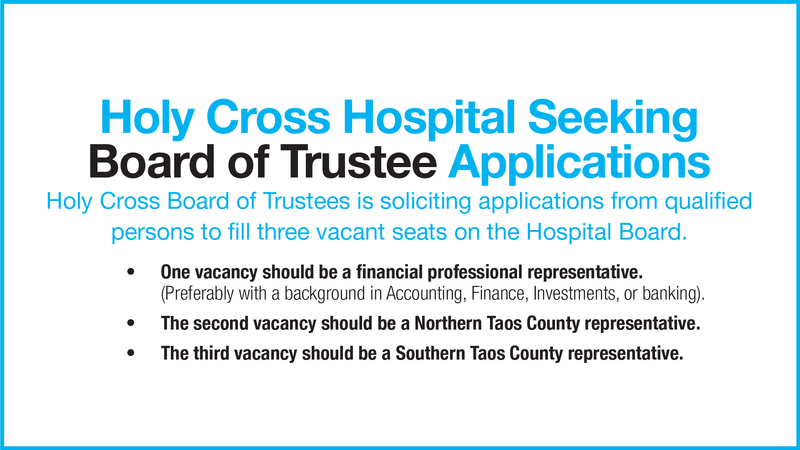 Holy Cross Board of Trustees is soliciting applications from qualified persons to fill three vacant seats on the hospital board.